Since 90s, the term “open source” has been used to describe free software whose source code is made available to the public, in a way or another. The term was first proposed by a group of the free software movement who were critical of the political agenda and moral philosophy implied in the term “free software”. The group included Christine Peterson who suggested “open source”, Todd Anderson, Larry Augustin, Jon Hall, Sam Ockman, Michael Tiemann and Eric S. Raymond. The following day, Linus Torvalds gave his support and Phil Hughes backed the term in Linux Journal. Open-source term became widely adopted by many software developers around the world and has been supported with many online communities. With the passage of time, the term came to be a career for millions and a gateway for freedom seekers and touched many other fields, specially industrial field. From there, a new term was proposed “open-source hardware (OSHW)” which refers to the design specifications of a physical object which are licensed in such a way that can be studied, modified, produced and distributed by anyone to public. OSHW aim to provide free designs for specific hardware that helps spreading the knowledge of how it is built without any constrains on how to use these designs, so anyone can use it in production, education or development freely. A lot of communities and groups started supporting this movement and actual products have been created under this concept. 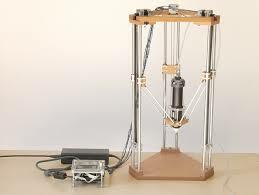 3D printers is one of these examples, which have been a major topic of 2014 and become a rich industry. 3D printing has existed before internet era but was not used widely as it was confined only to product prototyping. After 3D printers were released under OSHW license, it become easy to build your own printer at home and even to start your company based on these free designs. By spreading the movement of open-source in the world within both software and hardware, it became a culture and a new area has started. In the near future, OSHW is expected to add more values to the open-source culture and to our life. Elphel, Inc. – cameras based on free software and hardware designs. Ben NanoNote – handheld notebook. Novena (computing_platform) – Open-source computer. Open Compute Project – Open shared designs of data center products (server, storage, rack, …). WikiHouse – Open-source project for designing and building houses. e-puck mobile robot, an open-hardware, education oriented, mobile robot. ICub, 1 metre high humanoid robot. You linked our company (Elphel) as an example of the “Open Source Hardware” – and we are not. We use Free Software licences for the code (GNU GPLv3+) and CERN OHL for the hardware (it is OHL, not OSHL). We are not happy with the conflict between Free Software and Open Source, but when we have to chose between two we stay with the Free, not Open Source, as opening the source is required but not sufficient in our view. Thank you for your clarification. Your comment has been taken into consideration.